Being fun, outrageous-- even startling makes media Liquid. Animated .gif images like this one are a common sight in social media. They're easily viewed on computers and mobile devices, and they offer a depth unavailable in a single frame. I see this as an opportunity to break out of the typical photo shoot present in the World of Coca-Cola (and every other attraction out there). Camera Effects: Fast/slow motion, Fisheye/wide angle/specialty lenses, Allusions to famous photos/video, Laser/explosion effects, etc. Humor: Slapstick, Crazy juxtapositions, 'Funny because it's true,' Hyperbole, etc. Surprise: "How did they DO that?! ?," Realizing the impossible, Optical illusions, etc. Can an experience be unique and infinitely repeatable? This same photo is taken countless times every year. The subtle differences between each one; the people, the poses, the props... make it worth snapping for each new visiting group. The nature of the World of Coca-Cola suggests that every visitor have the equal opportunities to experience the museum. But it is also essential that experiences are not identical. This is especially true when seeking content worth sharing-- it would be tragically boring. It is my intent to provide an experience that further emphasizes the difference between every shot through user participation. 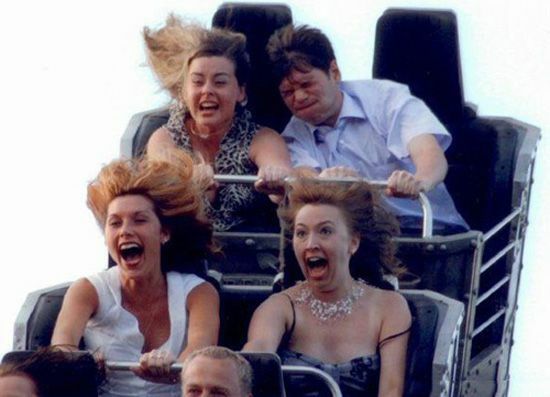 Amusement parks, especially rollercoaster rides provide every rider the same photo opportunity while producing different results every time. Capturing excitement and emotion is a powerful tool in making memorable content. Liquid & Linked is the strategy, but The Coca-Cola Company has strong values they intend to share with the world. Specifically, their mission is: to refresh the world, to inspire moments of optimism and happiness, and to create value and make a difference. It is my feeling that Inspiring Moments of Happiness most strongly relates to the World of Coca-Cola and its purpose.